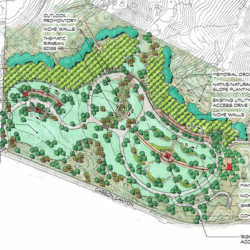 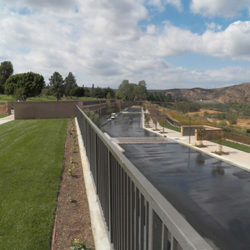 Florence Joyner Olympiad Park is a 22-acre park dedicated to Florence Griffith Joyner, the Olympic Gold Medalist who made her home in Mission Viejo, California. 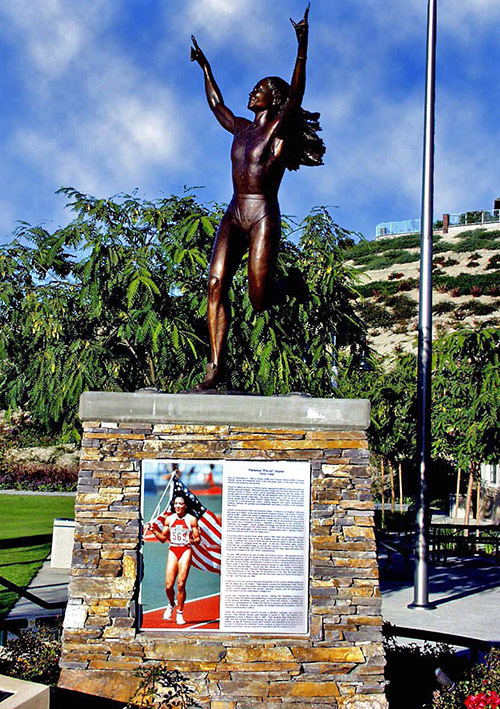 The amazing track athlete was titled the “World’s Fastest Woman” and after her Olympic career ended, she served as co-chair on the President’s Council on Physical Fitness and Sports. 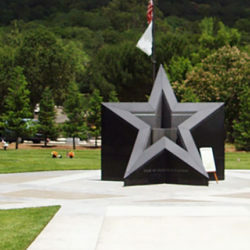 In memoriam of her achievements, the park features a bronze statue of “Flo-Jo” winning the 100-meter race at the 1988 Seoul Olympics. 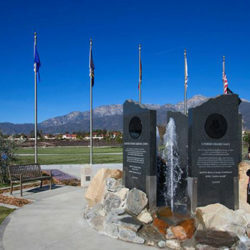 The stone-clad pedestal features an iconic color photo plaque of her carrying the American flag around the track in Seoul, as well as a short biography.